In this multimedia production, a comatose man recreates his identity by delving deeply into his memories, while a hovering circle of doctors and loved ones populate the medical and legal drama, forming scheming camps over grave neurological decisions. A profound, often comedic tour of the collective unconscious is coupled with the latest neuroscience in a compelling exploration of how the brain heals itself, and ultimately creates the mind. 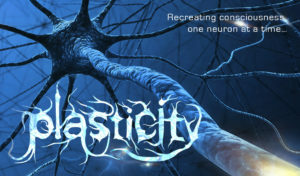 Plasticity Trailer from Alex Lyras on Vimeo.